A clear result at the end of the six-year presidential term in Mexico, and particularly in Chiapas, is that torture is the preferred mechanism of police investigation and control utilized by state agents, despite the fact that effective regulations exist at the state, national and international level to prevent and punish it, maintains the broad report De la crueldad al cinismo, (From Cruelty to Cynicism) by the Fray Bartolomé de las Casas Human Rights Centre (Frayba), which demonstrates that torture is a generalized practice legitimized by Chiapas authorities. “Their inefficiency in eradicating it is clear,” maintains the document of around 100 pages. 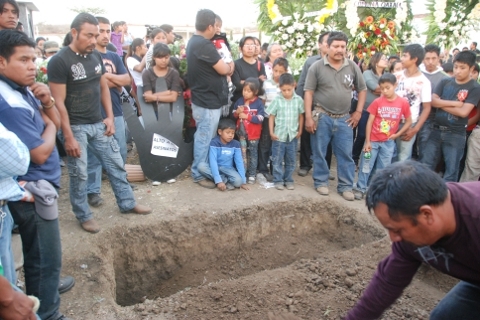 Between January 2010 and December 2011 alone the organisation documented 47 cases of torture in Chiapas, eight women and 39 men, who Frayba considers “survivors of this crime against humanity.” The La Jornada reader may also remember that dozens of indigenous prisoners in the state who have struggled for their freedom during these six years, both those who have attained their freedom and those still in prison, were tortured, on occasion for political motives. The report identifies the federal, state and municipal police, officials of the Public Ministry, soldiers on duty, and judicial and prison authorities as routine practitioners of torture, with an obvious method. 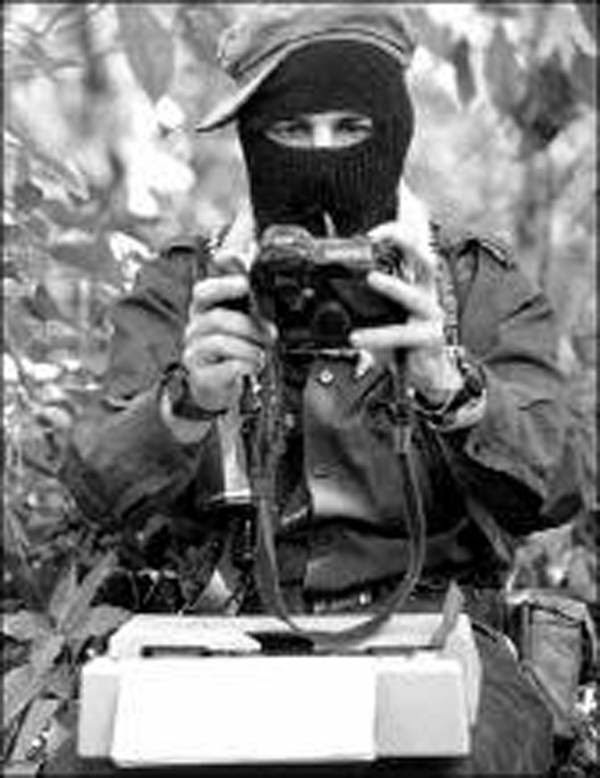 In certain cases, civilians from “officialist” (pro-government) organizations, some characterized as paramilitary, also participate. In Chiapas, “the acts of torture, cruel treatment or punishment, inhuman or degrading, have become a ‘normal’ practice, accepted by the authorities for the procuring and administration of justice, and tolerated by the state’s Executive.” This means that “the majority of the denunciations presented to the Public Minister do not go forward or encounter obstruction to their inclusion,” and therefore remain unpunished. This conclusion is based on documentary information in the possession of Frayba, checked against the information provided by the same state government which in 2010 listed 11 cases of “alleged torture,” out of which, of those responsible, only one was assigned to a judge, and [only] two of the five officials detained were accused. For June 2011, the government only had one case under investigation. The cases known by Frayba indicate that this act “persists above all” among members of the Ministerial Police assigned to the State’s Attorney General of Justice (PGJE), in order to obtain information or a signed confession. Due to these facts “the State is responsible for direct action and for omission, since once the torture is perpetrated it does not intervene to punish the guilty parties,” thus ensuring impunity and legitimizing this violation of human rights. The discovery, one of the most significant hieroglyphic finds in decades, was announced today at the National Palace in Guatemala. 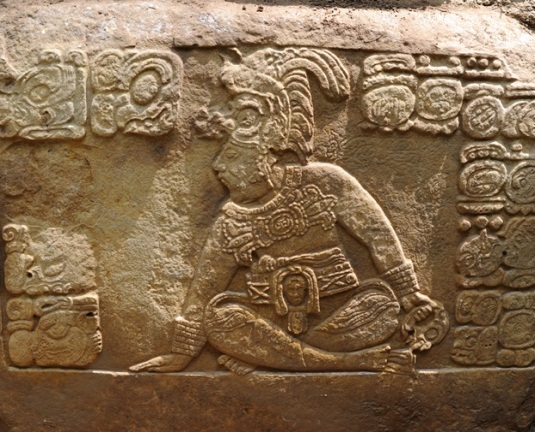 Since 2008, Canuto and Tomás Barrientos of the Universidad del Valle de Guatemala have directed excavations at La Corona, a site previously ravaged by looters. What Canuto and Barrientos found was the longest text ever discovered in Guatemala. Carved on staircase steps, it records 200 years of La Corona history, states David Stuart, director of the Mesoamerica Center at The University of Texas at Austin, who was part of a 1997 expedition that first explored the site. On 19 June there were held several actions in solidarity to demand the liberation of the professor Alberto Patishtán Gómez, who is currently being held in the Federal Center for Social Reinstertion (CEFERESO) No. 8 in Guasave, Sinaloa, as this day marks 12 years since his incarceration. In El Bosque, his community of origin, at mid-day there was held a march in which participated approximately 400 persons. Relatives and friends of Patishtán Gómez, as well as his teacher comrades, expressed their support for the Tzotzil indigenous man, who before his arrest had worked as a bilingual teacher. During the march, slogans of support were heard, and onlookers were invited to join the march, given that “tomorrow they could take any of us,” in light of what has happened to Alberto Patishtán. Meanwhile, in Mexico City there was held a press-conference for the case of the teacher. At this event, the history of Patishtán Gómez was explained, and there was advanced the demand that the federal and Chiapas state governments review his case toward releasing him. In the press-conference participated Gubidcha Matus, from the Fray Bartolomé de Las Casas Center for Human Rights (CDHFBC), Norma Garduño, from the Movement for Peace with Justice and Dignity, as well Héctor Patishtán, son of Alberto, and Pedro Ramírez, a comrade in struggle with the professor. 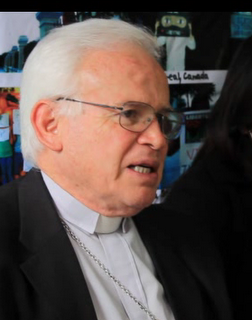 On 20 June, in a press-conference in San Cristóbal de Las Casas, Raúl Vera López, president of the CDHFBC and bishop of Saltillo (Coahuila), indicated that spaces of dialogue have been opened with the Inter-American Commission on Human Rights (CIDH) and the Secretary of Govenrance to advance the case of Patishtán Gómez. He explained that the professor is a human-rights defender who has strengthened different spaces of denunciation regarding the situation within state prisons in Chiapas where he has been held. The bishop recalled that for participating in a hunger strike and fast in September-October 2011, Patishtán Gómez was transferred from the San Cristóbal de Las Casas prison to a federal prison in Guasave, Sinaloa, thus violating his right to be held in a prison close to his family and his place of origin. It should be remembered that Alberto Patishtán was accused of the crime of homicide, transport of weapons exclusively for the use of the Army, and assault, due to his supposed participation in an ambush that resulted in the death of several police. Regardless, the only witness of the acts was the son of the then mayor, who at that time was confronting a mobilization among the local population against his person regarding anomalies in the local government, a process in which Alberto Patishtán had participated actively. For this reason, it is considered that the crime has been fabricated, and there exists much evidence that Patishtán Gómez found himself in a meeting with authorities at the time of the attack. On 20 June 1996, Minerva Guadalupe Pérez Torres, a Ch’ol woman who was then 19 years of age, was walking en route to the community of Masojá Shucjá, Tila municipality, to visit her parents. Upon reaching the community of Miguel Alemán, she was intercepted by a group of persons pertaining to the Paz y Justicia grouping. She was was detained, physically assaulted, and taken to the home of one of the group’s members. According to testimony on the part of these members obtained by the Fray Bartolomé de Las Casas Center for Human Rights (CDHFBC), Minerva was kidnapped for three days, beaten, and raped. 16 years after these events, her whereabouts are still unknown. Miami, FL – Indigenous politics tend to be understood as local anecdotes, rather than political events of international significance. 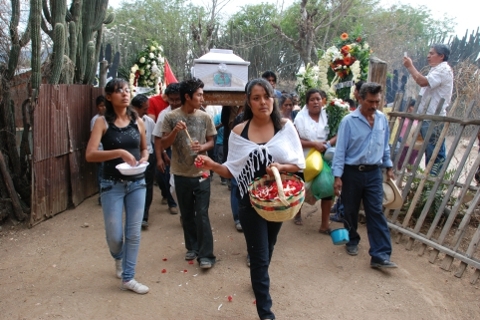 So it is of little surprise that the funeral of Bernardo Vásquez in San José del Progreso, Oaxaca, Mexico, generated little international attention. Vásquez was the second anti-mining activist shot dead in the past two months in the small Zapotec community, while many other opponents have been seriously injured in the Ocotlán Valley. Mine-related violence is certainly distressing but far from rare, extending from Chile to the Arctic. What is less ordinary is the extent and intensification of anti-mining mobilisation across Latin America. The past month in particular has seen a swell in protests defending land and water resources. Between World Water Day, annually celebrated on March 22, and the International Day of Peasant Struggles on April 17, this spring has seen resistance against mega-projects gain solid ground. The incidents in Ocotlán, simultaneous with larger mobilisations in other locations, are indicative of a broader turn in which indigenous movements are leading coordinated efforts to defend natural resources. Indigenous movements may be locally rooted, yet as its contest reframes governmental agendas, it ineluctably impacts transnational politics as well. On World Water Day, thousands of people gathered around the Blue Lagoon in the Peruvian highlands of Cajamarca to protect their water resources from mining exploitation and contamination. The Conga Mine, a $4.8bn project involving US-based Newmont Mining Corporation and Peruvian company Minas Buenaventura, would be the second largest gold mine in the world and affect five sources of drinking water. Residents of Cajamarca have been insistently protesting the Conga Mine project, approved in 2010. Neither President Humala’s 60-day state of emergency and increased military presence nor the external review of the environmental impact study were able to undermine the intensifying civil unrest. In fact, mobilisations gained momentum since Cajamarca’s regional vice president, César Aliaga Díaz, issued regional ordinance 036, declaring the Conga project unviable, thereby lending official support to the mobilisations. The uncontroversial alliance between local protesters and Cajamarca’s government against the Peruvian state and international mining interests suggests a multi-layered, and certainly transnational, political scenario. Ecuador’s March for Life, Water, and the Dignity of Peoples was as extensive as it was enduring, gathering marchers for more than 400 miles from International Women’s Day (March 8) to World Water Day. When CONAIE’s[Esp] president Humberto Cholando led thousands of indigenous peoples into the capital on March 22, thousands of non-indigenous protesters had also joined in. The government, in turn, organised pro-government countermarches, accusing the march of being fomented by prior coup participants, and to be supported by the country’s right for electoral motives. Despite obstacles and shortcomings, this national mobilisation symbolises the re-unification of all indigenous groups in Ecuador around one common political agenda, echoing the massive mobilisations of the 1990s. Using the same slogan as the anti-Conga movement: “Life is worth more than gold,” the march emphasised protecting water and opposing mega-mining projects. The 19-point demand, however, was broader and included other issues, including opposing the expansion of oil frontiers and demanding labour rights as well as the respect of sexual rights. This march did not achieve formal negotiations with the state. Yet it did achieve another important goal: to demand – and to practice – the de-criminalisation of social protest. In that sense, this mobilisation represents the resilience as well as the agility of an indigenous movement that has remained the leading force of opposition over the years, surviving political censorship and intimidation, as well its own internal fractures. Days after Ecuador’s march, more than 10,000 people entered Guatemala City – an impressive crowd for a capital of about one million inhabitants. The march lasted nine days, covered much of the country, and involved a diverse array of social sectors. 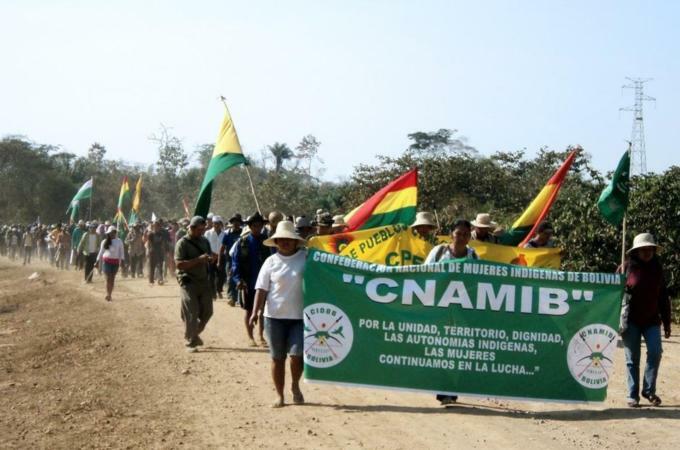 Called the “Indigenous, Campesino, and Popular March for the defence, dignity and of the Earth and Territories”, this mobilisation was explicitly national and geared to address social concerns beyond indigenous concerns. The agenda encompassed land rights and territoriality as well as fundamental civil rights such as a Law for Community Media to legalise community radios. Just like in Ecuador, Guatemala’s anti-mining march is relevant because it is embedded in politics at large. 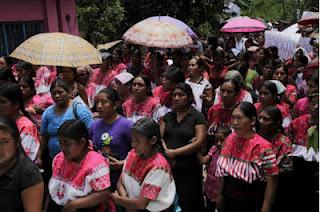 Leaders issued a declaration of the march for resistance and dignity in defence of the earth and territory, in which they demand, among others things, the cancellation of concessions for mining, petroleum and hydroelectric plants, and mono-culture agriculture – as well as the end to persecution and criminalisation of indigenous people fighting for their rights (eight indigenous women in San Miguel Ixtahuacán have arrest orders against them for speaking out against the Marlin Mine). Such forceful mobilisation convinced President Otto Perez Molina to negotiate the demands posited in the protesters official declaration. In Bolivia, indigenous mobilisation is also at a peak. The protests that brought international attention to the construction of a highway through the Indigenous Territory and National Park Isiboro Sécure (TIPNIS) are far from over. The 61-day march in the autumn of 2011 generated widespread support for originary peoples, pushing the government to abide by a law protecting the TIPNIS and interrupting the construction more than once. As conflict over the TIPNIS holds, political strategies grow increasingly complex, intricate, and transnational. The UN offered to mediate the stand-off, whereas the Brazilian National Bank for Social and Economic Development (which is financing most of the project) is demanding that the construction firm and the Bolivian government reframe the contract. Despite political retaliation against protesters and harassment against leaders – such as against the president of the Bolivian Confederation of Indigenous Peoples (CIDOB), Adolfo Chávez, and the president of the TIPNIS, Fernando Vargas – coordination strengthened and even expanded to urban areas. In fact, Bolivia’s IV Indigenous National Commission just ratified the start of the IX March in Defence of the TIPNIS for April 25, from Chaparina to La Paz. It will reiterate resistance against the road construction through protected territories, as well as to defend natural resources at large, respect for constitutional rights, and insist on the democratic practice of consultation. The various marches in defence of the TIPNIS evolved beyond a mobilisation for and by indigenous interests. It made tangible a national political discontent beyond protected territories, bringing international visibility to the internal fissures of the Morales government. The smaller and larger indigenous mobilisations taking place simultaneously across Latin America are inevitably local, in that they contest projects in their communities, but they cannot be trivialised as isolated or anecdotal incidents. These mobilisations are of international relevance because they have successfully mobilised thousands of peoples, indigenous and non-indigenous, over long periods of time and across territories, crafting political demands, and often forcing governments to reframe policies. Most importantly, indigenous mobilisation has been able to bring environmental politics to the streets, turning natural resources, water, and consultation into public political issues. The growing constellation of mobilisations across the region points towards deeper societal changes in the making. President Dilma Rousseff recently declared that people protesting the construction of dams in the Amazon lived in a state of “fantasy“, and fantasy had no space to be discussed at the Rio+20 UN summit in June. The millions of peoples across the Americas who seem to think otherwise may have a couple of opportunities beforehand to convince her of the contrary. Elio Henriquez / La Jornada 06/22/2012 San Cristobal de las Casas, Chiapas, June 21. A civil mission of observation and solidarity, formed by representatives of some 15 organizations, demanded that the federal and state authorities stop the threats of eviction against the communities of Salvador Allende, Ranchería Corozal and San Gregorio, located in the Montes Azules reserve. The members of the group, who visited the area for six days, said they found the inhabitants of these villages living [peacefully] together and respecting nature, so that there is no reason for their eviction, because they live in harmony with nature and their environmental impact is minimal. The observers demanded that the three settlements, created more than 30 years ago, be regularized. They explained that the purpose of the mission, which visited the area April 29 to May 4, was to document the commitment of the three towns to the care of the earth and the environment while faced with the threat of eviction by the federal and state authorities. 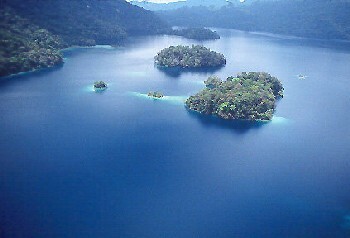 In a report, the groups felt that this invaluable region (Montes Azules) is disputed over by various interests and actors from outside the area, who, brandishing various discourses like development, sustainability, climate change and ecotourism, are threatening the indigenous villages which have a long history of residence in the area. They stated that the policy of eviction of the villages mentioned represents a reverse logic of justice and human rights, and in addition pointed out that there exists a process of exclusion in health, education, food and a decent life for the inhabitants of Salvador Allende, Rancheria Corozal and San Gregorio. They demanded once and for all an end to the threats of violent eviction or forced relocation against these and other villages by the Mexican State, and a guarantee of the preservation of the existing natural commons in the Lacandon Jungle and Montes Azules as part of the heritage of the Mexican people, under the protection and management of indigenous groups who have been living there for many years. Miguel Angel Garcia Aguirre, from Maderas del Pueblo del Sureste, said that only seven of the 45 villages that were settled in Montes Azules now remain, the others have been relocated or evicted by the police. There were also representatives of the Fray Bartolome de Las Casas and Fray Pedro Lorenzo de la Nada human rights centres, from the Advisory Services for the Peace, Economic and Social Development of Indigenous Mexicans, the International Service for Peace and Maderas del Pueblo del Sureste, among others. On the evening of Saturday, June 16, two environmental activists and human rights defenders were with friends in front of city hall on the main street of San José del Progreso, Mexico. Suddenly a red Dodge Ram pickup truck drove by, spraying them with bullets. Bertín Vásquez Ruiz was shot in the abdomen and Guadalupe Vázquez Ruis took bullets in his leg and hand. Both are members of the Coalition of United Peoples of the Ocotlán Valley (CPUVO), which has been actively protesting the presence of Canadian Fortuna Silver Inc.’s “Trinidad/Cuzcatlán” mine in their community south of Oaxaca city, Mexico. Both of the shooting victims were taken to a public hospital, where they received cursory attention. Shortly after arriving at the civil hospital, for example, Bertín Vázquez reportedly was released – with the bullet still in his abdomen. He was later taken to a private (paid) hospital where the bullet was removed. Both of the shooting victims are said to be in stable condition. Eyewitnesses identified three of the gunmen, all allegedly connected in some way with Fortuna Silver’s Trinidad/Cuzcatlán mining operation. Local media report that eyewitnesses named Evaristo González (apparently an employee and ‘hired gun’ of the Fortuna Silver mine), Edgar Vásquez Hernández (son of a previous municipal president who gave permission for the mining operations in San José del Progreso) and Aarón Pérez Vásquez (a local school superintendent) as the supposed shooters. Opposing the Vancouver-based Fortuna Silver mining operation in San José del Progreso in recent months has become increasingly dangerous – and even deadly. Activist and CPUVO member Bernardo Méndez was shot dead on January 23 this year when, along with group of people from San José, he confronted a crew working on a water pipeline in the community. They suspected that the line would divert water from the arid town’s scarce water supply and be used for mining operations. Workers refused to show work permits to the crowd as requested. An argument ensued and soon municipal police arrive on the scene. Witness report hearing the voice of San José mayor Alberto Sánchez Muñoz over a radio giving the police an order to open fire. Méndez was shot seven times and died soon afterwards. Another member of CPUVO, Abigail Vásquez, was also shot and seriously wounded in the incident. Another activist and member of CPUVO was assassinated on two months later. On March 15 this year Bernardo Vásquez was shot and killed when his vehicle was ambushed just outside of San José. His brother, Andres, and friend Rosalinda Canseco were also seriously wounded in the attack. Doctors worried that Rosalinda’s leg would have to be amputated due to the grave gunshot wounds. That risk has passed, and she is currently undergoing physical therapy. No one has been charged in the crimes despite the existence of what many observers call considerable, concrete evidence – including photos of alleged assailants published in local media. WHY THE OPPOSITION AND RELATED BLOODSHED? Members of CPUVO oppose Fortuna Silver’s “Trinidad/Cuzcatlán” mine for a variety of reasons. Water is a central concern. The area’s supply of potable water is increasingly scarce, and mining operations require vast quantities of water. Townspeople also express concern about contamination of water sources and lands by the toxic chemicals used by the mine to process silver and gold ore (such as cyanide), as well as by arsenic and other heavy metals. There is ample local precedent for their concerns. A nearby Oaxacan community offers a dire warning as to the devastating environmental and health impacts related to the mining there. The Canadian Continuum mine in Capulálpam de Méndez seriously disrupted and polluted aquifers there. Local residents report that due to the mining activities there, 13 local streams disappeared and that community springs were so polluted by chemicals used to process the ore that livestock were dying from drinking the water. The environmental destruction by the Continuum mine was so flagrant that mining operations were suspended by the Mexican Federal Environmental Protection Agency. The social costs related to the Fortuna Silver mine are also high. The ongoing violence has divided the town and created an atmosphere of pervasive tension and fear. Some townspeople point out that the majority of the community was originally opposed to the mine when it first opened. In 2009, for example, some 300 people blockaded the mine’s entrance for more than a month. Some 700 police were sent in to violently break the blockade, beating people and arresting 23. The repression has silenced some of those opposed to the mine, and allegedly bribes and other corruption have effectively won support for the mine. Some critics, including respected national media, vigorously challenged those assertions. The violence in San José, they point out, clearly began with the arrival of Fortuna Silver in the community. Some critics have pointed out that the so-called “reactionary groups” are people who are simply defending their territories, human rights and the rights of nature. According to accusations by CPUVO, all of this year’s assassinations and assaults against environmental and human rights activists who oppose Fortuna Silver’s Trinidad/Cuzcatlán mine were perpetrated by municipal authorities and employees of the mining company. Members of CPUVO have repeatedly denounced in the media and to the state government that the mine is financing armed groups in the community, with the endorsement of San José’s municipal president Alberto Mauro Sánchez. 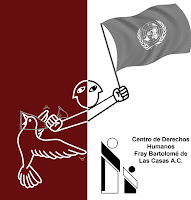 In a recent press release by an umbrella of prominent human rights and civil society organizations, the Coalition in Defense of Territories declared: “Since the beginning of the current year CPUVO has denounced the irregularities and violations caused by the mining company Cuzcatlán and the municipal authorities of San José del Progreso, nevertheless, up until this moment there has been no adequate reply on the part of the state government in reference to the problems”. The Oaxacan Collective for Defense of Territories calls for investigations into the recent violence, for justice, and for protection of protective measures and the security of defenders of human rights and the environment. No one has been charged in any of the violent attacks, and the assassins remain at large. Observers express concern that the lack of justice and the resulting flagrant impunity enjoyed by the perpetrators can only create an atmosphere of continuing fear and insecurity in San José. The recent attacks, unfortunately, give credence to those concerns. Given the ongoing, unprosecuted violence in San José, the Oaxaca Collective in Defense of the Lands declared its deep concern for the increasing vulnerability of defenders of human rights in the state of Oaxaca, and demand immediate and effective actions on the part of the Oaxacan state government. To date, the state government has responded only with deafening silence; there has been no official public comment on the recent shootings in San José del Progreso. “The Green Economy is nothing more than capitalism of nature; a perverse attempt by corporations, extractive industries and governments to cash in on Creation by privatizing, commodifying, and selling off the Sacred and all forms of life and the sky, including the air we breathe, the water we drink and all the genes, plants, traditional seeds, trees, animals, fish, biological and cultural diversity, ecosystems and traditional knowledge that make life on Earth possible and enjoyable”. climate change, like large hydroelectric dams, genetically modified organisms including GMO trees, plantations, agrofuels, “clean” coal, nuclear power, natural gas, hydraulic fracturing,nanotechnology, synthetic biology, bioenergy, biomass, biochar, geo-engineering, carbon markets, Clean Development Mechanism and REDD+ that endanger the future and life as we know it. Instead of helping to reduce global warming, they poison and destroy the environment and let the climate crisis spiral exponentially, which may render the planet almost uninhabitable. Economy is a crime against humanity and the Earth”. Human Rights Defenders, a compañero in struggle, and the son of the teacher demanded his immediate release from Felipe Calderón and the governor of Chiapas, Juan Sabines. They also reported the conditions at the maximum security prison in Guasave, Sinaloa where the teacher is [currently imprisoned]. Mexico City. 12 years after the imprisonment of the Tzotzil teacher Alberto Patishtan Gomez, members of the Fray Bartolome de las Casas Human Rights Centre, the Movement for Peace with Justice and Dignity (MPJD), the activist’s son Hector Patishtan, and his compañero in struggle Pedro Ramirez demanded his immediate release from Felipe Calderon and the governor of Chiapas, Juan Sabines. At a press conference that was attended by the activists Gudbicha Matus from the Frayba Human Rights Centre and Norma Garduño from the MPJD, it was explained that the activist and professor, from a Tzotzil community in Chiapas, has been imprisoned for twelve years for murder, possession of army weapons and causing injuries, [as punishment] for organizing a movement against the then mayor of the community of ” El Bosque”. It is worth mentioning that the son of that mayor was the only witness against Patishtan. Norma Garduño, from the Movement for Peace, demanded that Felipe Calderón and Juan Sabines review the case and immediately free Patishtan, at the same time she accused the two of ordering the murder of activists. Meanwhile the son of the imprisoned activist, Hector Patishtán, called for people not to give up the struggle and said “continue to support us, don’t abandon us”; the young man also complained about the transfer of his father from a prison in Chiapas to a high security prison in Guasave, Sinaloa. The son of Patishtán reported that, since his father was transferred to the prison of Guasave, he has not been able to see him for eight months, as when he tried to visit him he was denied admission for being a minor, on the basis that there are not adequate conditions of space for him to see his father. Alberto Patishtan has poor vision, and he could soon become blind, as his condition has worsened due to artificial light to which he is exposed 23 hours out of 24 in the prison at Guasave. The visits the teacher may receive are limited to one Thursday per month, lasting 15 minutes; he may also receive one 10 minute phone call each month. Every 4 days, the teacher can leave his cell to stretch his legs for 1 hour, during this hour he is forced to squat naked. The case of Professor Alberto Patishtan gained prominence when it was denounced by a member of the community of “El Bosque” to the presidential candidates at the meeting they had with Javier Sicilia and MPJD. Please send it no later than July 18, 2012. Along with your signature, please include the name of your organization or collective and country. There are many ways to deliver the letter–via postal mail, for example–but we believe that the most effective way is to go directly to offices of the government of Mexico and drop it off there. If this is not possible, we propose that it be sent through postal mail from everywhere on earth. Hand or postal delivery will ensure that the document is registered and archived. By way of the following, we address you, Felipe Carderón Hinojosa, so as to apprise you of our steadfast demand for the immediate and unconditional release of Francisco Sántiz López and Alberto Patishtán Gómez, political prisoners falsely accused of crimes that they never committed. In light of the fact that you currently hold the post of President of the Republic of the United States of Mexico, you are directly empowered to resolve these two cases, which are characterized by flagrant injustice and a disregard for the human rights of Alberto Patishtán Gómez and Francisco Sántiz López. To continue depriving them of their freedom effectively constitutes complicity on your part in the violations perpetrated against them. 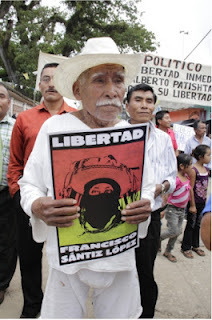 Since December 4, 2011, Francisco Sántiz López — a Zapatista Support Base Member — has remained unjustly imprisoned on the false accusation that he led a confrontation which took place in the community of Banavil, Tenejapa Municipality, Chiapas. Despite the numerous witnesses who have attempted to testify on his behalf, the authorities responsible for imparting justice have refused to consider their crucial testimony. These witnesses unambiguously confirm that the accused was not present at the site of the incident. Moreover, both the Good Government Council headquartered at Oventic and the Fray Bartolomé de Las Casas Human Rights Center have illustrated the impunity enjoyed by the real perpetrators of the murder and acts of aggression that took place in Banavil, Tenejapa, Chiapas. Similarly, Alberto Patishtán Gómez, a Chiapan from the El Bosque municipality, was unjustly incarcerated on June 19, 2000 for crimes that he also did not commit. Two years later he was sentenced to 60 years in prison. His unjust incarceration is a direct consequence of having fought to improve the quality of life in his municipality. When Alberto Patishtán was detained, he was deeply involved in the fight for social justice in his community and denounced the corruption of the municipal public servants. Know as Professor Patishtán, Alberto was a teacher in a local, elementary public school, that worked towards and promoted local development, and was noted for his role as a passionate organizer with collectives fighting for regional development. Alongside this, he is recognized for his union-based work in support of labor rights and against the corrupt practices of local politicians, for which he is regarded as a political prisoner. 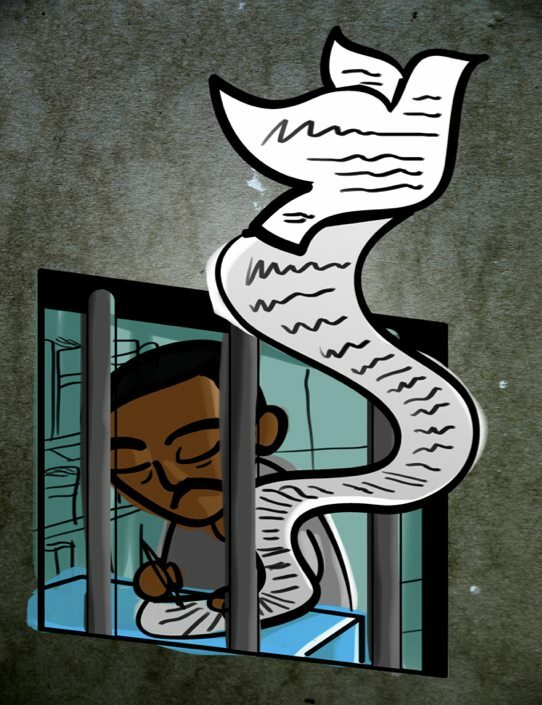 During his 12 years in jail, Patishtán has distinguished himself for his honorable efforts to provide basic education to his fellow unjustly imprisoned comrades and for his continued path of dignity, truth, and justice. In response and as a punishment, Noé Castañón León, the General Secretary of the Government of Chiapas, formally requested the transfer of Patishtán to the CEFERESO in Guasave, Sinaloa. Today, Patishtán is locked in permanent isolation. Despite the numerous violations of his human rights, including permanent torture, denial of adequate medical attention, and the degradation of his indigenous culture via cruel and inhumane treatment, Alberto Patishtán remains strong and demands, as we do, that you free him without delay. During recent months, the resonance of this demand has swelled nationally and internationally. 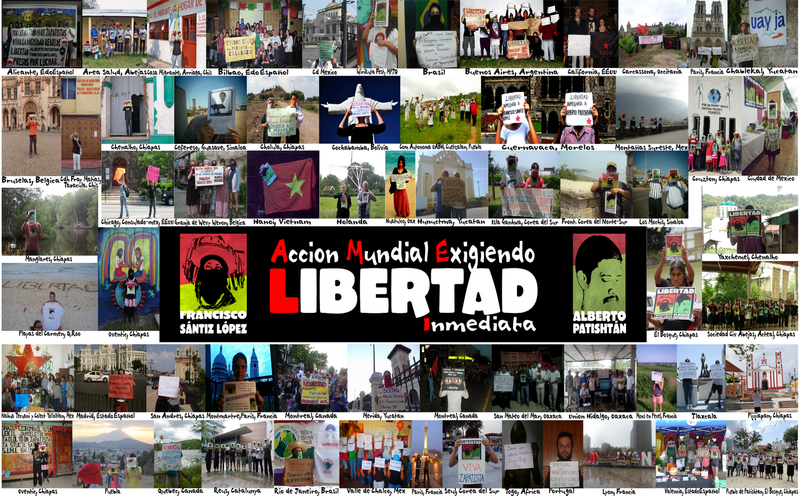 Thousands of people, organizations, and groups from numerous states of Mexico and countries of the world have mobilized to firmly demand the liberation of our comrades Francisco Sántiz López and Alberto Patishtán Gómez. Thousands more will continue to join until they are freed. We are all outraged, and now the whole world observes with growing concern the progress of these two cases. In light of the aforementioned, we once more demand that you immediately and unconditionally release Francisco Sántiz López and Alberto Patishtán Gómez. We wish to make it clear that until this demand is fulfilled, from our respective countries, states, and communities, we shall continue to expose and denounce the legal inconsistencies, human rights violations, and your inaction regarding the cases of our compañeros. 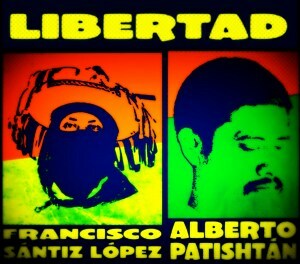 Our struggle shall continue until Francisco Sántiz López and Alberto Patishtán Gómez are freed. Emilio Lopez and Alberto Patishtán stand out from this group of people; the first for being the convener of the declaration, the second for actively participating in preparing the documents to raise awareness of what was happening in the Tsotsil community.In mid April 2000, a group of people in the municipality of El Bosque, mostly representatives of the Social Solidarity Society (SSS) began to organize to denounce the misuse of resources, murder with impunity, abuse of authority, sexual harassment against women by municipal authorities, and lack of attention to the needs of the population, among others. It was obvious that they were denouncing that the “structure” was failing the people, that the “authorities” were not doing their job, and they therefore demanded the dismissal of the main authority, the municipal president, Manuel Gomez Ruiz. Alberto Patishtán, in his autobiography, says that before starting their complaints they called on Manuel Gomez to talk with the people, but his only reply was insults against Alberto, calling him a “community agitator”. On June 12, thirteen days after sending the document, an ambush took place near the community of Las Limas, located on the section of the road between El Bosque and Simojovel. The ambush happened at approximately 11:00 am, against 7 sectorial police, a local police commander from El Bosque and the driver for the council of that municipality. 6 of the 7 policemen and the local police commander were killed. The driver and one policeman survived, although seriously injured. Around 2:00 pm, Alberto went to El Bosque. Later he called a meeting of his organized compañeros who were denouncing the Council “in order to suspend all oral and written activity concerning the dismissal of the Council.” They knew that what happened was a tragedy, and even more so for the mayor, for those ambushed were not only public servants, but also his son ROSEMBERG GÓMEZ PÉREZ, Council driver. Alberto mentioned that after leaving the meeting, one of the chief authorities approached him to say desperately, “you urgently need to seek refuge with my entourage”. It appears the mayor was trying to take revenge for his attempted dismissal, and had pointed them out as the perpetrators of the ambush. What happened next has been reported often: Alberto Patishtán was kidnapped by members of the Federal Investigation Agency (AFI) on June 19 at 9:30 am, approximately, while waiting for a bus in the public market in El Bosque to go to work. Much is already known of the contribution of Alberto Patishtán to the fight for justice from within the prisons, all who knew him know he is innocent and deserves to be on the outside with his people, his community, his brothers who are still standing to fight in El Bosque. Some say that history repeats itself, but on 10 June 2012, the people again spoke against the municipal authorities. The reality is that the story goes on, the struggle continues. 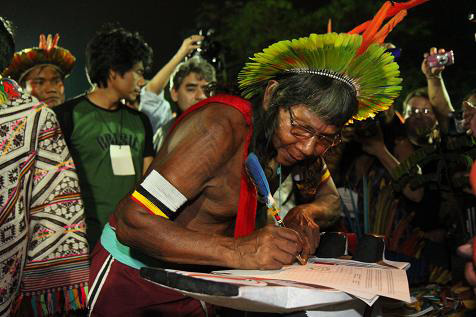 Alberto Patishtán is not only an example of struggle, he is also an example of the unity, the anger, and the love that indigenous peoples have between each other, and which have now infected the whole world, or perhaps it is the discovery of the different forms of love there are, for life, for justice, freedom, peace. Many people are today demanding his prompt release in the way that Albert has been doing, by struggling. To demand the liberation of Alberto Patishtán is not just a matter of solidarity, but is part of building a better world. It is not unreasonable to think that the arrest and detention of Albert Patishtán is part of the contra-insurgency war of the Mexican State. The geographical area in which his people are located also suggests this, as does the political situation when it happened. Those who work to build awareness and autonomy are the enemies of the state. Information taken from: albertopatishtan.blogspot.mx and the internal files of the People’s Movement for the Liberation of Alberto Patishtán (Movimiento del Pueblo por la Liberación de Alberto Patishtán). Receive warm greetings and embraces. Within the context of the third phase of our national and international struggle, called “Worldwide Struggle for the Liberation of Patishtán and Sántiz López: Bringing Down the Prison Walls!,” we would like to share with you this important update. Additionally, we ask that you continue struggling, alongside our two indigenous political prisoners, in this third phase to continue increasing the pressure and resonance of our just demand and, in turn, achieve its fulfillment. From the Patishtán family, we inform you of the recent news concerning our brother Alberto Patishtán Gomez’s situation. 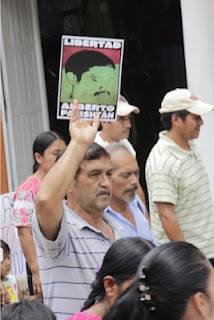 At the end of the first “Week of Worldwide Struggle for the Liberation of Patishtán and Sántiz López,” which took place in mid-May, the bad government of Mexico initiated and has continued dialogues with the Patishtán family regarding the conditions of his case. We believe that these “dialogues” should be seen as another crack in the walls that keep Alberto and Francisco confined. The organizing efforts and global solidarity, alongside the internal efforts of our prisoners, managed to open up this crack. They are, more so, a sign that the bad government feels pressured and obligated to continue responding, and a symptom of their weakness. But they are in no way adequate in and of themselves. Today more than ever, we must continue increasing the pressure, as the responsible party finds itself in a weakened state, and advance our efforts and organizing in this third phase. We must continue, with more yearning, more fury, more energy, until these walls disintegrate and our compas walk free. That is all for now, compas. Thank you. FOR THE FREEDOM OF PATISHTÁN! FOR THE FREEDOM OF SÁNTIZ LÓPEZ! BRING DOWN THE PRISON WALLS! An embrace of affectionate solidarity. Movement for Justice in El Barrio. 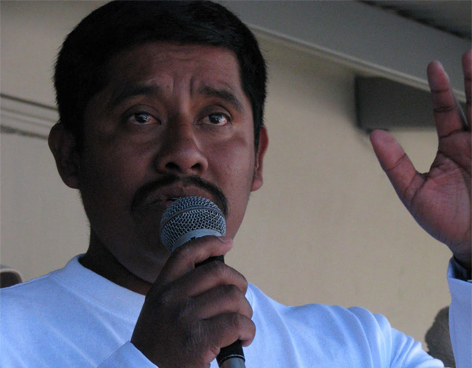 The Bishop of Saltillo, Coahuila, Raul Vera Lopez, confirmed that spaces for dialogue have been opened with the Ministry of Interior (Secretaría de Gobernación) as to the possible release of the indigenous Tzotzil Alberto Patishtán Gomez, adherent to the Other Campaign, who yesterday completed 12 years served unjustly in prison. “I believe that opening a legal way to prove his innocence has been made possible by national and international pressure”, he said at a news conference in this city, in which he demanded the release of the teacher. There are expectations that he may be released because spaces for dialogue are open with the Interior Ministry, through the intervention of Services for Peace (Serapaz), and also the Inter-American Human Rights Commission has asked the Mexican government about this case, he said. He noted that the Fray Bartolome de Las Casas Human Rights Centre, of which he is president; Serapaz, founded by the late Bishop Samuel Ruiz Garcia; the Movement for Peace with Justice and Dignity; and international solidarity are all pressing for Patishtán Gomez to be released. Words of Raul Vera Lopez, Bishop of the State of Saltillo, President of the Fray Bartolomé de Las Casas Human Rights Centre (Frayba), at a press conference marking twelve years of the unjust imprisonment of Alberto Patishtán. During his account and analysis of the situation of the political prisoners in Mexico, in the context of the actions for the freedom of Alberto Patishtán, the Tzotzil indigenous teacher, Raul Vera ranked Mexico as a country that is upside down, because “here criminals are left in total impunity while human rights defenders are persecuted and sent to prison (…) they lock them away so they cannot disturb the State structure”. Alberto’s case is a clear example that the justice system does not work, because it is the families, civil society and organizations that are taking action, because there is no justice. 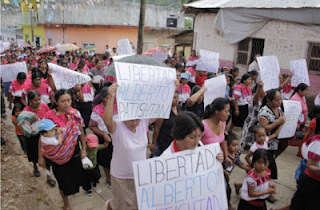 As a result, it is notable that there are around thirty countries who, together with national civil society and the village of El Bosque, have spoken out in support of the release of Patishtán. In summary, Frayba recognizes that “the best [actions in] defence of Alberto are those he has taken himself” through the acts of denouncement and social struggle which he makes from inside prison. 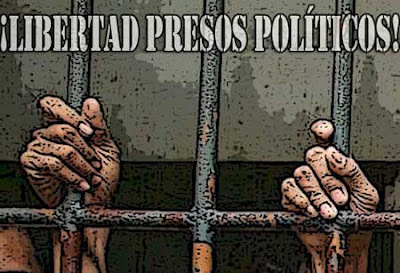 To this day Alberto Gomez Patishtán remains in Guasave, in the state of Sinaloa, in Cefereso no 8, where he continues to talk to the other prisoners about the unjust imprisonment they are experiencing, and denouncing the prison conditions such as food, health and total isolation.